In fact, motivational speaking is a hot field. If you are super energized, and have the passion to inspire others to “get moving,” it’s a field where you will find a land of plenty. The trick is that you have to be really MOTIVATED to be a “motivational speaker.” You have to be so motivated that you wake up everyday, ready to inspire, ready to give, ready to receive, and ready for it all. The bigger question is: why do we need so much motivation? What is the fundamental issue with our world that we are so un-motivated? What are we being motivated to do? When I lived in the city, I would attend “conferences” and these “motivational” seminars. We would chop boards with our bare hands, walk on hot coals, and go deeper into false beliefs, and come together in community. I can honestly say, that the feeling you walk away with is like a roller coaster. You meet all these wonderful people doing amazing things in the world, the speakers give so much in value and content, and you walk out of your “weekend,” rejuvenated, inspired, and on a high. This is exactly what it is. A rush. A high. It’s like the adrenaline of climbing the highest mountain. The deeper you go into this palpitation, the higher you get. But, what happens after the weekend? Slowly, but surely, you dip back into your daily routine. The faster you dip back in, the faster and harder those “old feelings emerge.” Something like 10% of people actually make drastic changes after “motivational speeches.” That means 90% of people go back into their “unmotivated” lives. The one who actually receives the most from these “motivational” conferences is the speaker(s). They get pumped up with all the energy of the participants, and they absorb it all. It fills them to be shining on stage, and the people who are “motivational speakers,” have to be doing their internal work everyday to truly influence millions of people. They have “habits,” and lifestyles that fill them, rather than deplete them. Tony Robbins has to generate a lot of energy to shine on all the people he influences. Motivation cannot come from the outside. This is where we find the delimma. Motivational speeches can only lead to “lasting change,” when we are ready for the motivation. When we have aligned mind, body, and soul to move in the same direction. How many times in a day, do we get distracted? How many times a day, do we get tired? How many times do we “change” our mind? All of this drains our motivation. If we are not rejuvenating, regenerating, and refueling our mind, body, and soul we become depleted. Going to a “motivational” conference, will get a wheel turning, but when we go back into the “mud” of our lives, we get stuck. To receive the most out of any conference or workshop, we must be ready, willing, and able to do the daily work necessary to keep our “motivation” burning from within. Passion is a good start, but passion alone fades. We must reach deep down into our “mission,” of why we came here. If you have a deep desire, beyond passion; then motivation will eventually kick in. It might take years, but if you are persistent, the fire once stoked, begins to blaze and blaze. Motivation is where passion, meets the daily grind, and outcomes become seen and heard. There are so many “distractions” to our time. Motivation is something that cannot be accessed from the “outside,” but it has to be cultivated from the “inside.” When this cultivation happens, we become a magnet to what we truly desire. When we magnetize through these channels, there is no “limit,” to what can be accomplished. It’s easy to have the “motivation” in the beginning of an adventure, but it’s much harder to keep that motivation once “challenges” and “obstacles” come about. Motivation is the momentum, and forward motion, needed to accomplish any legacy in this reality. Many do not choose to have a purpose. They instead rely on the material world to sustain them. Having a job, family, house, car, etc… is all that matters. But, for those of you reading this. You are seeking that motivation to achieve the greatness within yourself. You are choosing to work on yourself, and move into higher realms of consciousness. You perhaps have big visions and goals for yourself and the world. 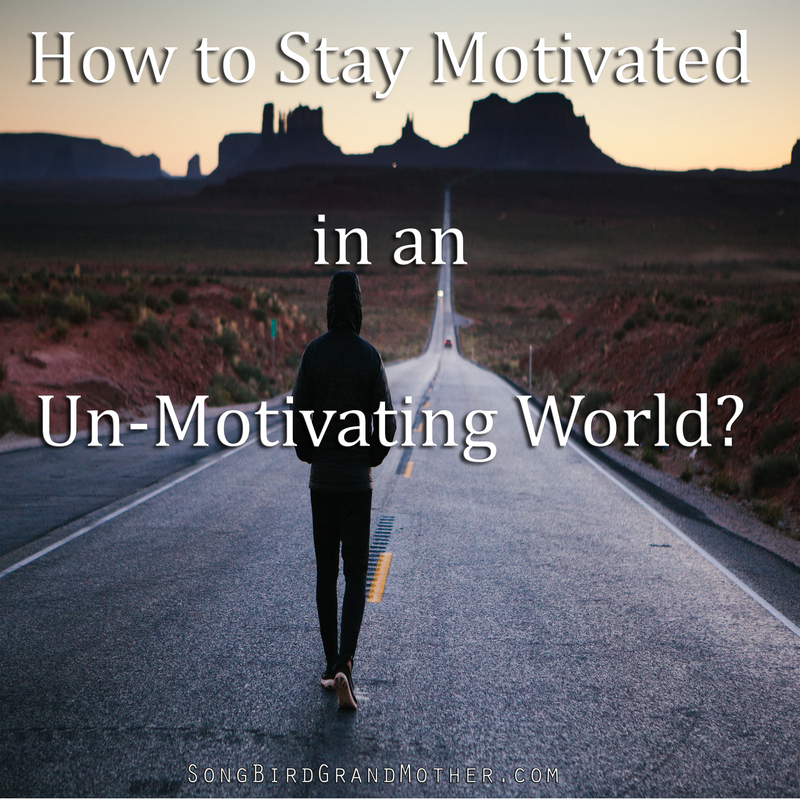 So, the question really is: How can I stay motivated in an un-motivating world? Try them for 30 days, and begin your journey into developing good daily habits to expand your energy. Begin your day with meditation. Just close your eyes. Focus on what you would like to see happen in your day. Focus on just emptying your mind. Have clear, concise and precise goals for your day, week, and month. Goals keep you motivated. Develop accountability. It’s easy to say, “oh well I’ll do that later.” Or develop a goal and miss the goal. When you have accountability you are more likely to stick to the goal. Listen to high vibrational music, and video content. Fill your vibration with those who are vibrating high. Spend less time consuming the news, tv, and lower vibe media. Get outside daily and connect with nature. Take a walk, care for a garden. Tend to the earth. This will ground you and fill you with love from the Earth Mother. Eat quality food. You are what you eat. Heavy foods cause a heavy vibration. Stick to higher vibe foods like fruits and vegetables. Make a daily habit to eat well. Drink lots of water. Your vessel requires a lot of water to operate. Water will help you focus, keep you in a good mood, and filter out toxins. Limit your partying and intake of toxic substances such as drugs and alcohol. Your mind, body, and soul will thank you. Keep your intimate circle small. Only share your deep desires and passions with those who truly love you, compliment you, and support you. Stop caring what “other’s think.” Judgment is a serious motivation killer. How can you be motivated with people judging you? Stop caring, and judgment will not bring you down. Continuously push yourself to the next levels of greatness. Getting out of our “comfort” zones is what moves motivation into grander states. Motivation is something that burns from the inside. It only fades when it comes from the outside. It can only be sustained when it burns from a mission deep within our hearts. It takes time, daily practices, and is a mind, body, and soul process. If you are someone who “wants” to be motivated, but hasn’t found “momentum” try working with a few of the tips above. Do one thing for 30 days, then add another. To truly be motivated and stay motivated, you have to become the captain of your ship. Sometimes as “captain” you will experience storms, tribulations, and challenges. But, a true captain stays calm, remains focused, and stays the course. To all those motivating, being motivated, and doing great things, may motivation move you towards your greatest Self. You are the living waters of this Earth. Stand strong, share your gifts, and know that you are amongst the top tier of people uplifting the frequency of our world.